RSM Erasmus University is the business school of the prestigious Erasmus University, which is amongst the 1% of business schools worldwide that hold triple accreditation by all three of the world’s accreditation bodies – EQUIS, AMBA and the AACSB and consistently ranked amongst Europe’s top business schools. At RSM, you can be sure you are getting a world-class MBA education, rooted in a distinctive intellectual culture. Just like the host country, The Netherlands, one of the world's most renowned international trading nations, RSM has continued to diversify and expand its student body and academic resources to secure its status as one of Europe’s most innovative business schools. RSM programmes teach leadership from a global perspective, using a combination of intellectual and practical challenges.New generations of successful graduates have learnt that working in diverse teams fosters creativity in business. MBA candidates at RSM Erasmus University enjoy a reciprocal, synergetic relationship with multinational companies and are encouraged to embrace a flexible, broad and sometimes iconoclastic mindset in business and research. This distinct learning approach has helped RSM to establish a portfolio of world-class MBA programmes, as well as one of the top management and business administration faculties. What distinguishes the RSM MBA curriculum? According to the enrolled candidates, it is the way in which students, professors, and industry professionals collaborate throughout the programme, coupled with the school’s international and inspiring learning environment. 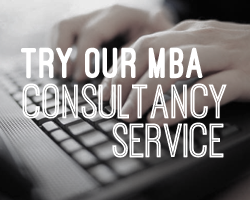 RSM offers three top-tier MBA programmes: an International Full-time MBA, Executive MBA and a Global Executive OneMBA. The programmes offer the same outstanding knowledge foundation complemented by intensive personal leadership development An MBA at RSM is much more than a degree, it is your open gate to a successful future in business. At RSM Erasmus University candidates will be intellectually challenged by the highest-level academic content and under the direction of the sharpest business thinkers: faculty who draw on years of experience working for successful corporations as well as valuable insight from their own research. Throughout their studies, candidates will learn to question facts as they are presented with critically-assessing assumptions. This will challenge them to confront their limitations, push past boundaries and discover what really drives their visions. Developing the skills to be able to turn leading ideas into outstanding results in business, requires action. The MBA programmes at RSM give momentum to innovative ideas via real or simulated business environments, from company associateships and internships to actual consultancy projects, international travel and participation in clubs and student-managed conferences. At RSM, diversity is highly valued, encouraged and developed and fostered in an open environment, where candidates can find the perfect ways to explore innovative thinking, to challenge ideas, and ultimately, to develop their own potential as future leaders in business. Fill out your details to get in touch with RSM Erasmus University and find out more about their programs.